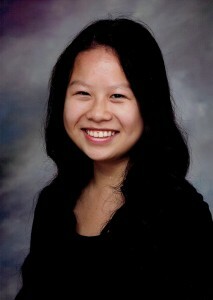 Lydia Chew is a senior at Hamilton High School in Chandler, Arizona. She looks forward to studying political science and aspires to work in government and politics. A strong proponent of political activism, she is also passionate about social justice and civic education. Lydia appreciates healthy doses of introspection through literature and primarily engaged in the world of poetry to express her emotions and connect more deeply with others of a similar mind. She heard about this contest through fellow writers. It’s easy to overlook the third and fourth lines of this poem written in the form of a letter. The apology made in the poem comes after a period of bullying and after the young woman targeted has transferred to another school. In many nations (including our own) the hijab has become a symbol of- otherness. Chew’s work attempts to understand what is at the root of our fears. I like how her work resolves the “issue” before reaching its conclusion. There is hope (in this poem) that perhaps we all have the capacity to change – no matter how long it might take. Chew’s winning poem will be featured in our 2017 edition of DoveTales, An International Journal of the Arts.